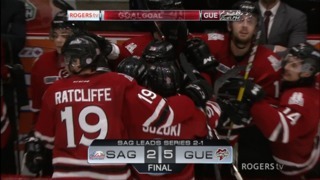 The Guelph Storm kick off their 28th season Thursday in Windsor before coming back to the Sleeman Centre for their home opener Friday against the Sudbury Wolves. 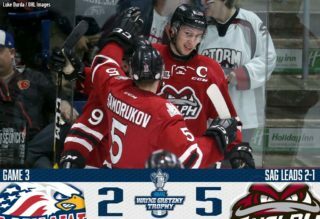 After two years of missing the playoffs and then a quick first round exit last season, the Storm should be considered as a legitimate candidate to make the conference final at a minimum. One area of improvement seems to be in goal. 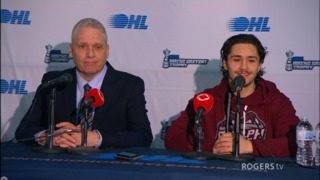 Anthony Popovich will again be the number one guy but back-up Nico Daws has dazzled during the exhibition season allowing just one goal in three appearances, including a tremendous 45 save performance Saturday night in Guelph’s 4-1 win over Hamilton. The Bulldogs outshot the Storm 46-16 overall and 19-1 in the first period but Daws stood tall. Popovich looked tired at points last season (playing 60 of the 68 regular season games) so the emergence of Daws should allow Burnett to keep his number one well rested. 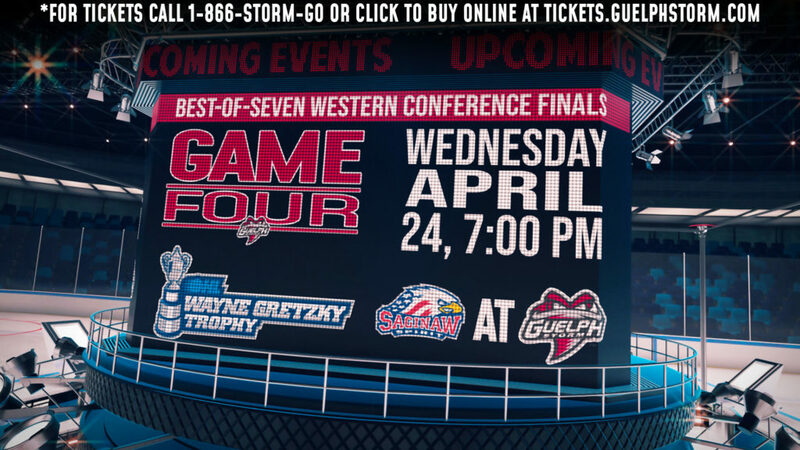 The Storm, with their new logo, showed be a much more experienced club this time around. The question is whether the coaching staff can get them playing unselfish, team-first hockey. Burnett admits that convincing the players to play for the name on front of the jersey and not the back has become more difficult over time. 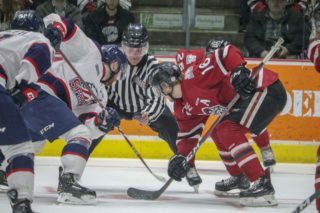 From the Land of Oz … For what it’s worth, the Storm went 3-1 in exhibition play … Another player who had a good training camp for the Storm was Tag Bertuzzi, collecting three goals and three assists. “Tag has shown some terrific progress,” said Burnett. “He is stronger, more involved, he’s won puck battles and put himself in a position to score.” … The Storm is unsure of who will be back for NHL camps in time for Thursday night. As of Sunday seven players were still away: Isaac Ratcliffe, Nate Schnarr, Ryan Merkley, Dmitri Samorukov, Liam Hawel, Alexey Toropchenko and Popovich.